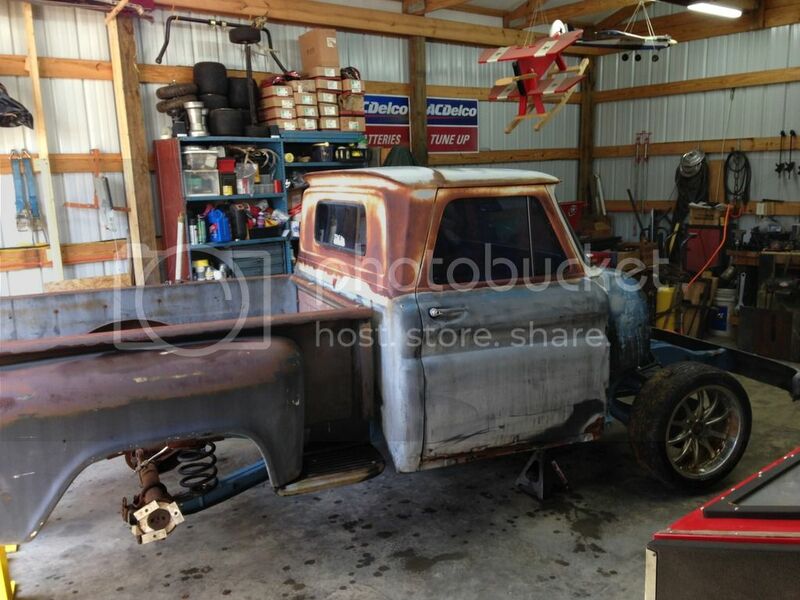 Well, I have been given a challenge to have my old truck at LST this year. My oldest son, Korbin, is giving me his old 5.3 that is being replaced in White Trash. I will be just the engine, and I will need some brackets and other items, but its a start. LST is Feb. 24-26, 2017. I have a hotel confirmed and will be submitting my registration this week. Part of the challenge was that I drive it to the show, but I am much older and wiser now and I got him to agree that I can trailer it down to Conroe and only drive it from the hotel to the show. 25 years ago, I might have been inclined to get it together and drive it but not anymore for doing this in 60 days. For those that don't know much about my old truck, here is a thread I started in 2010 when I thought life was going to allow me to redo the truck. Korbin and Owen will both be helping me as time allows, but part of the challenge is that Korbin has WT running and going to LST also. Last edited by aggie91; 01-02-2017 at 10:39 AM. Owen helped me a bit this past week and we got some of the parts we are not going to use or that need to be reworked off the truck. 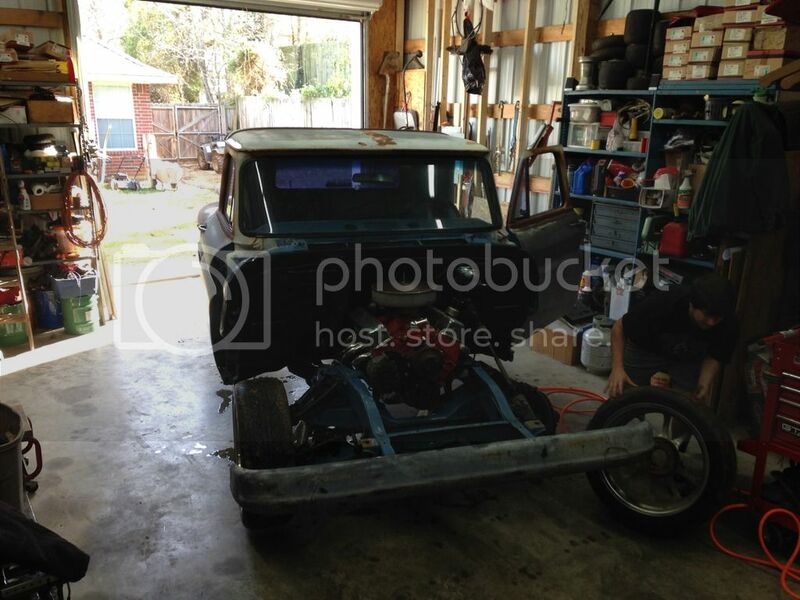 On December 30, I got the passenger side front brake mocked up. Yes the rotor needs to be turned and cleaned up and painted again, but the parts all fit and we are good to go on that side. Unfortunatly, I could not finish the driver side since the hose I had was the wrong one, and I am missing the banjo bolt for the caliper. The new hose will be here today and I will get the bolt on my way home after work. On Saturday, Dec. 31st, one of our local pick-a-part yards had a All You Can Carry for $75 day. Korbin and I went over and scored a few higher cost items that we both need for our projects. 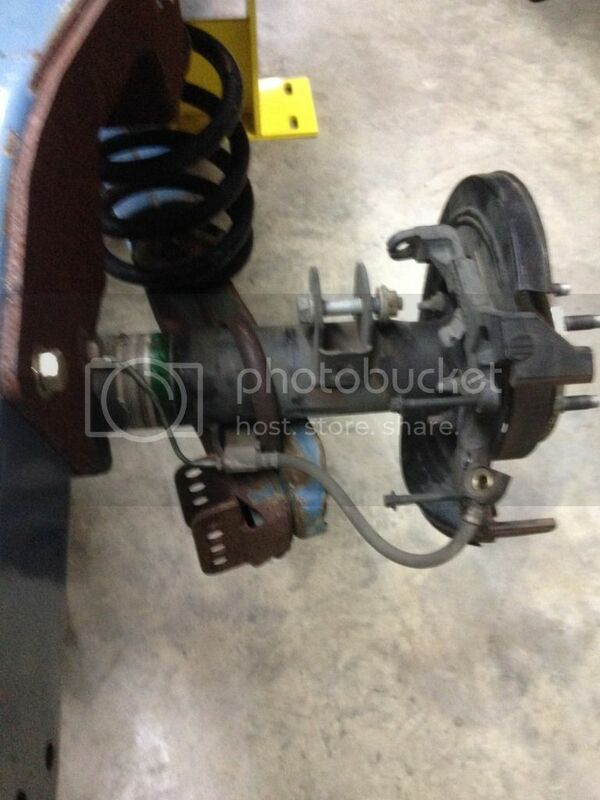 Korbin scored a complete ford 8.8", 3.73 limited slip, disc brake rearend out of a Mercury Mountaineer. It was ALL he could do to carry that thing the required distance without any help. I scored a complete wiring harness, PCM, Intake, Injectors, and Coils from a 2002 Tahoe, I also got the dished flex plate out it too. From another Suburban, I got the PCM, Intake, and a partial harness (some idiot before me cut it up...) and a bunch of misc bolts, fuses, and relays. 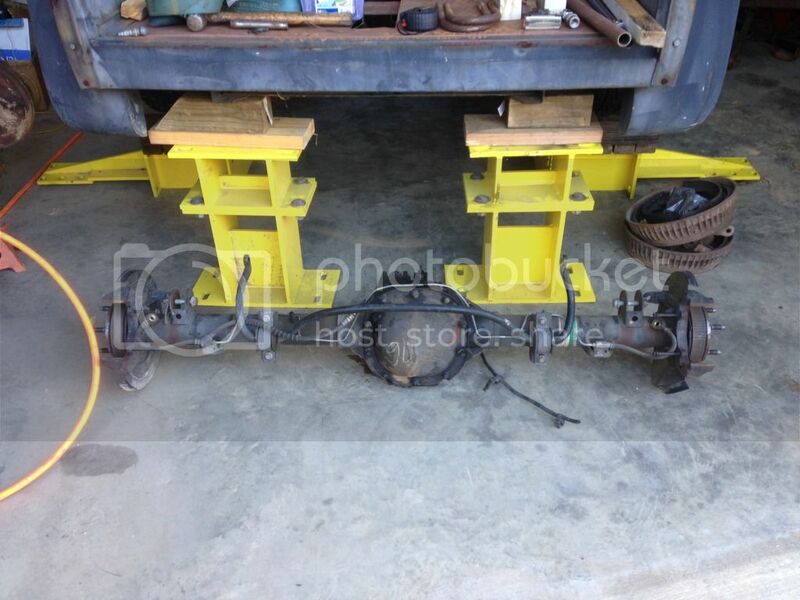 I also carried an extra short side axle shaft, u-bolts, and spring plates for Korbin's 8.8. That is where I am at as of about 8:00pm last night. I have 53 more days before I leave for LST. Not a bad haul for $75. Dig your enthusiasm. Subbing in & watchin' for updates. What year rear end housing did you decide on? Well no pictures from last night, but I did get a short time in the shop last night. The driver side brake line came in yesterday, so I got the rest of the front brakes mocked up. I am still short 2 copper crush washers for the one caliper banjo bolt, but that is just a trip to the parts store to get some. 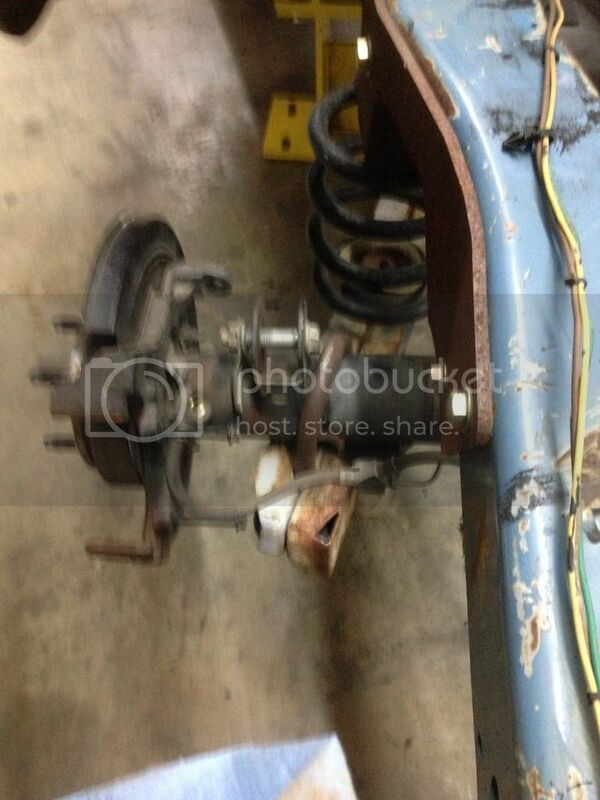 I'll wait till I put the rear brakes together before making a trip to the store. I know that there will be other items I need. Well, even though it was very cold for East Texas and we had some family functions going on, I did spend some time in the shop this weekend. Not much time, but got my goal accomplished. I spent a few minutes labeling my partial harness to see what it was really missing. More than I thought, so I moved on to another part of this project. Disc Brakes with a mechanical parking brake, 3.73 gears and a limited slip carrier. Not a bad score for $85 out the door. 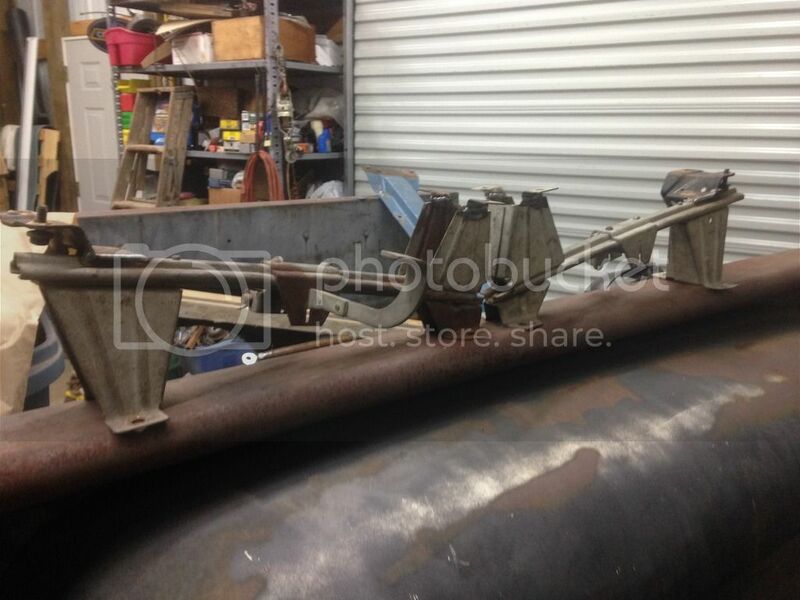 I needed to get the truck up a bit higher and move my stands to a better spot to make working on the mock up easier. By the end of my shop time, I was in and somewhat centered. I need to make some saddles for it and get it centered up, but I know what is needed and looks like it will work. Only issue I have is that the pinion is not centered on this rear, but I have a couple of ways to get around that issue. I have a new workout routine I do with my wife on Mondays and Thursdays now, so shop time tonight will be after that class and will be limited tonight. I love time limited builds. Makes it all a bit more interesting. After work, I had a workout class I do with my wife so I got home a bit later than normal. The Championship game was just starting, so I fixed some dinner and watched that till halftime. I decided to get some shop time in, so out I went. 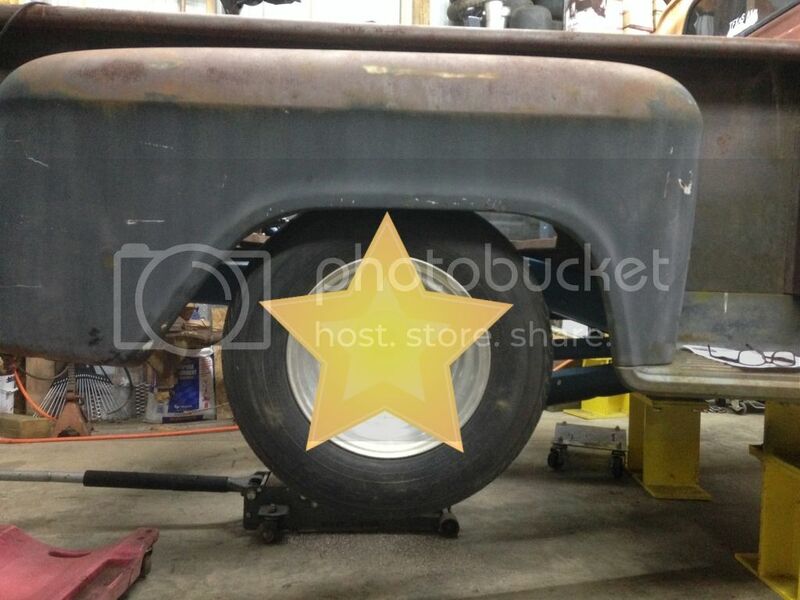 the goal was to finish mocking up the rear end and see what the tire/wheel choice looked like. Gave 75dually a call to touch base on a wing for him that is near me. Looks like I will be delivering it to him at LST. So, I got my goal accomplished. I know in the pictures you can see that I have a scrub line issue, but these are the parts I had and was not sure what drop theses springs have. I thought they were 4" springs, but that does not look to be the case here. I will have to run with this for now, but that is one area that will need to be addressed before it spends a ton of time on the road. 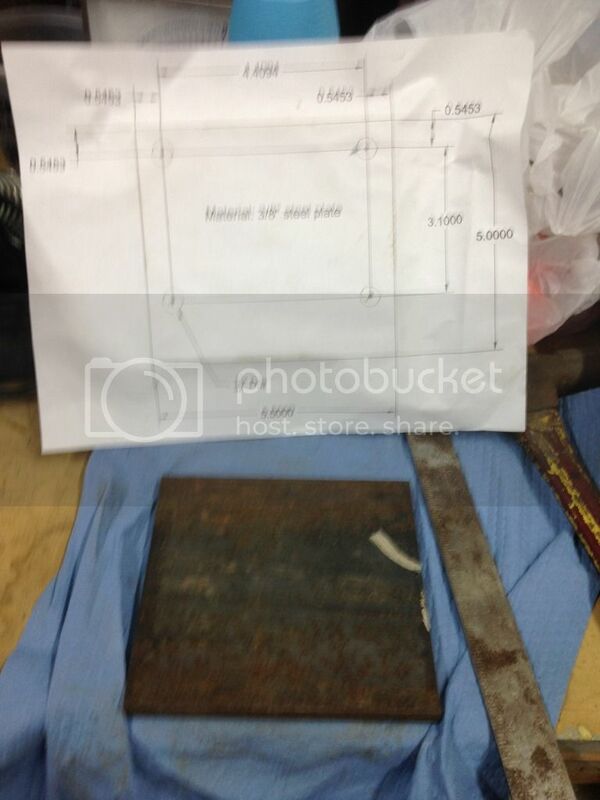 In this picture, the weight of the rear portion of the truck in on springs, via a floor jack under the center section. 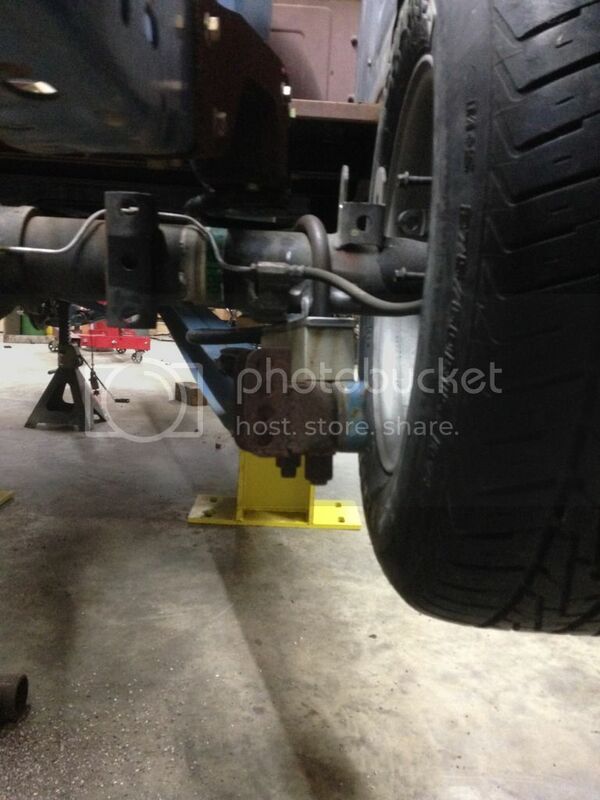 This is my current ride height with a 28" tall tire. Not all the weight is in the truck yet, so I won't change this till I have the rest of the parts installed. All that is left to do the brakes is make a hard line about 12" long to connect to the flex hose on this housing. 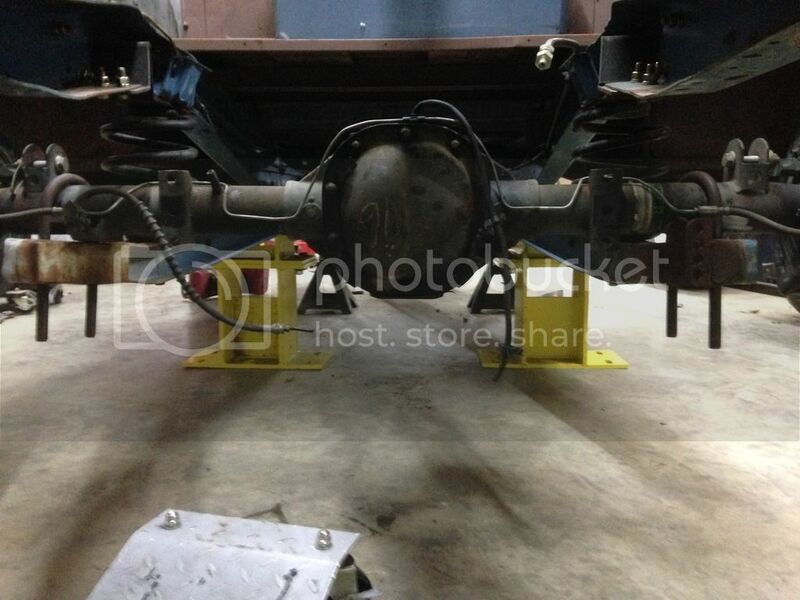 The truck will have 4 wheel disc brakes for now. 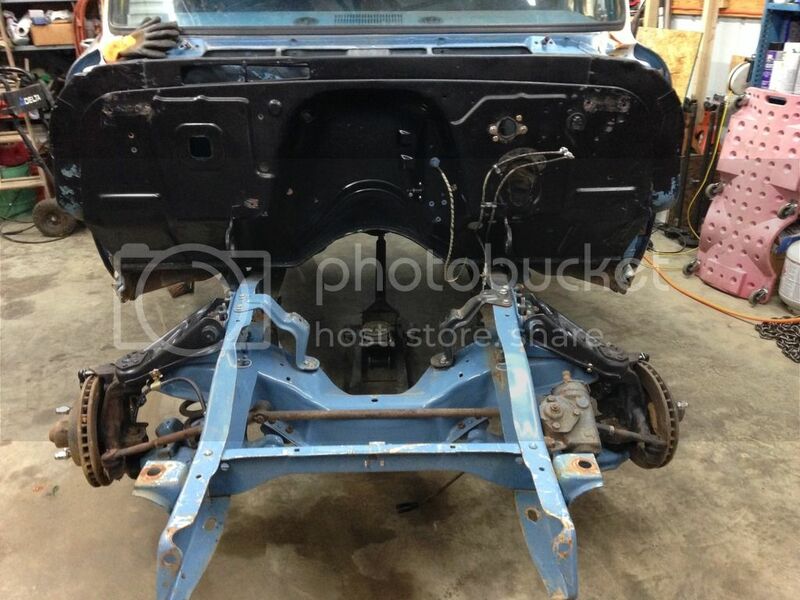 I hope to have the brakes complete and bleed them by the end of this week. Long day yesterday, my turn to cook dinner last night, so after that and clean up, shop time did not start till after 9pm. 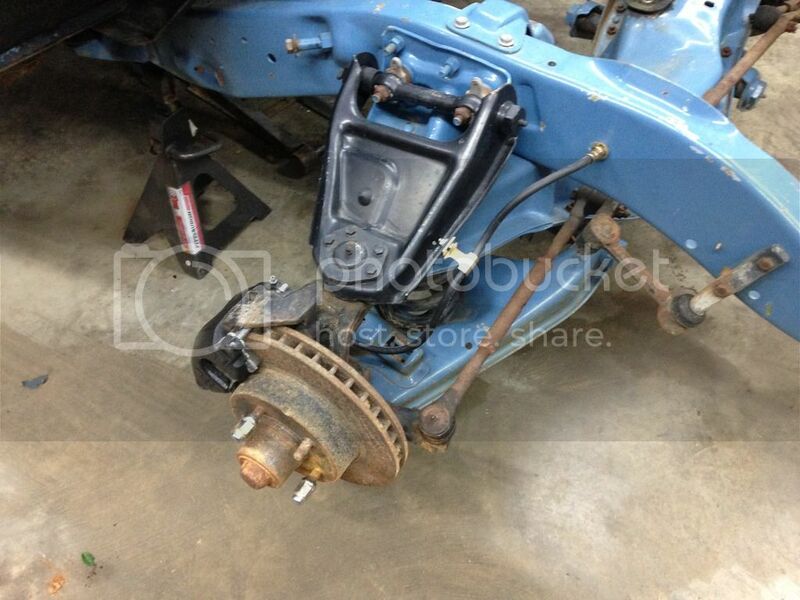 I am waiting on a few parts to finish up the brakes, so I moved onto the LS harness. I have reworked them before so I got out my tools, my notes, and my partial harness and got busy. 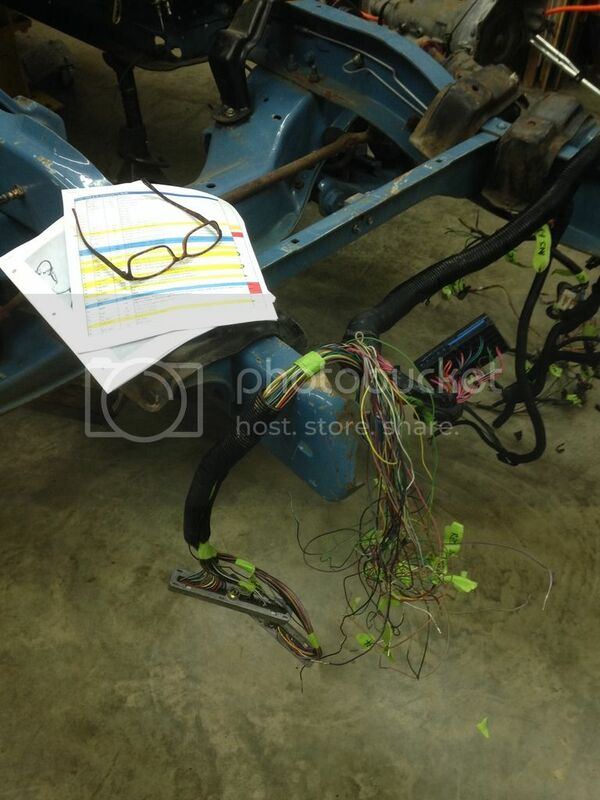 As I went, I used masking tape to keep the stock shape of the harness and to label the transmission wires as I pulled them out. I little extra time to do all of that, but it will be worth it in the end. This is time consuming work, but not hard. 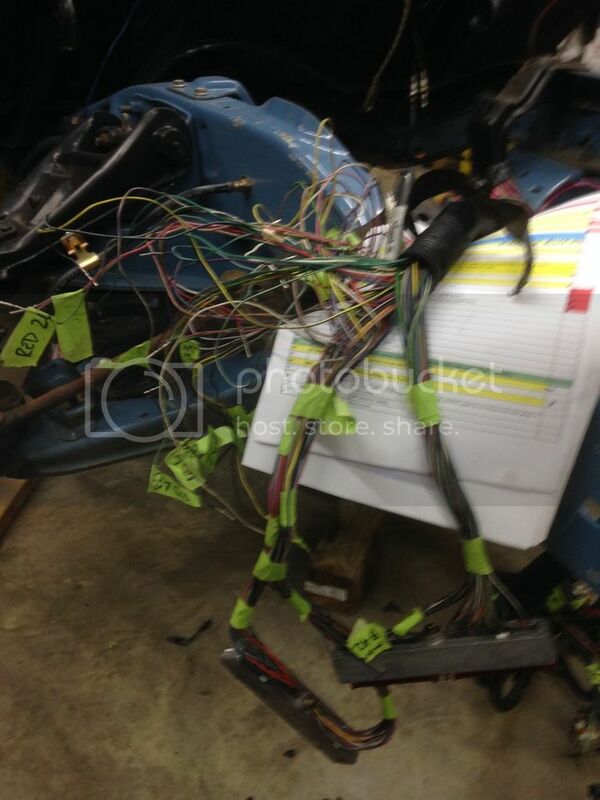 The amount of time is why places charge so much for reworking a stock harness. Sorry guys, I have been slacking on updates. I have been fighting a sinus cold and just not feeling well to get much done on the truck lately. I did some stuff accomplished so here goes an update. 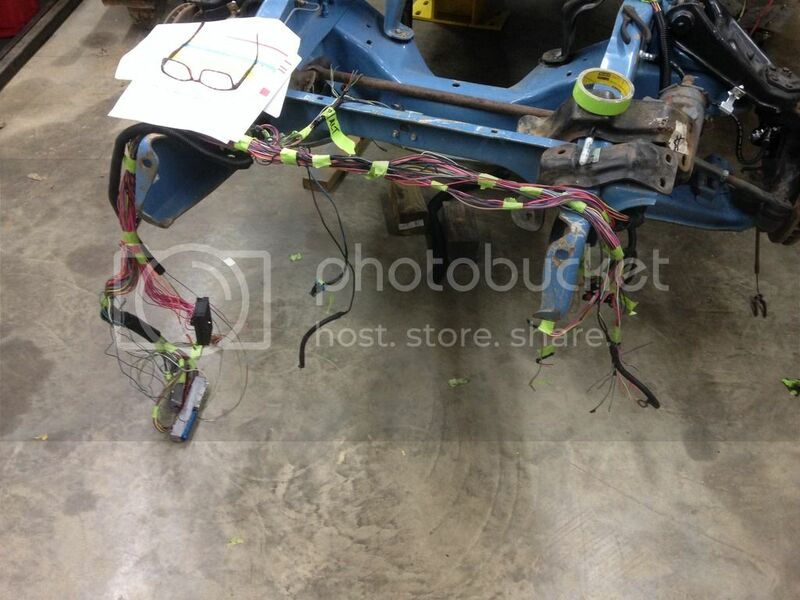 Got the rest of the LS harness stripped down and labeled to be able to move along on it. 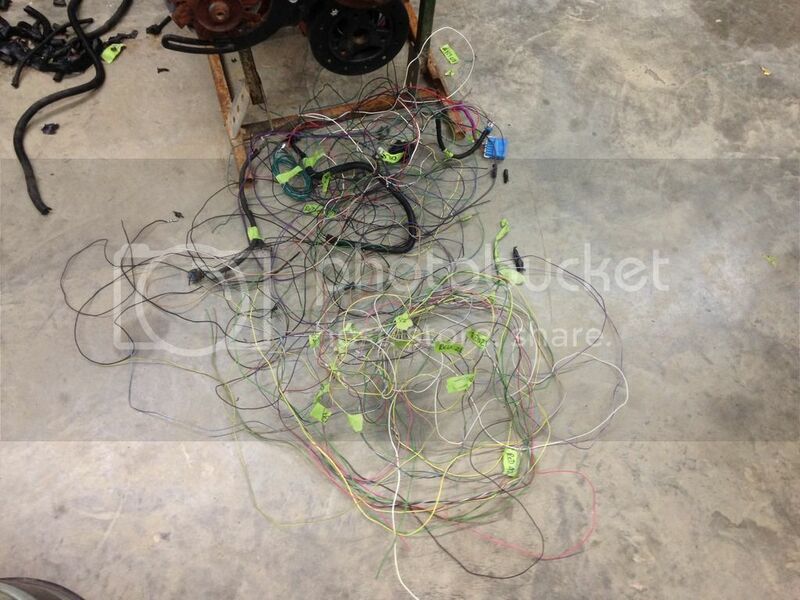 Here is most of the wires that are not needed in a standalone harness. 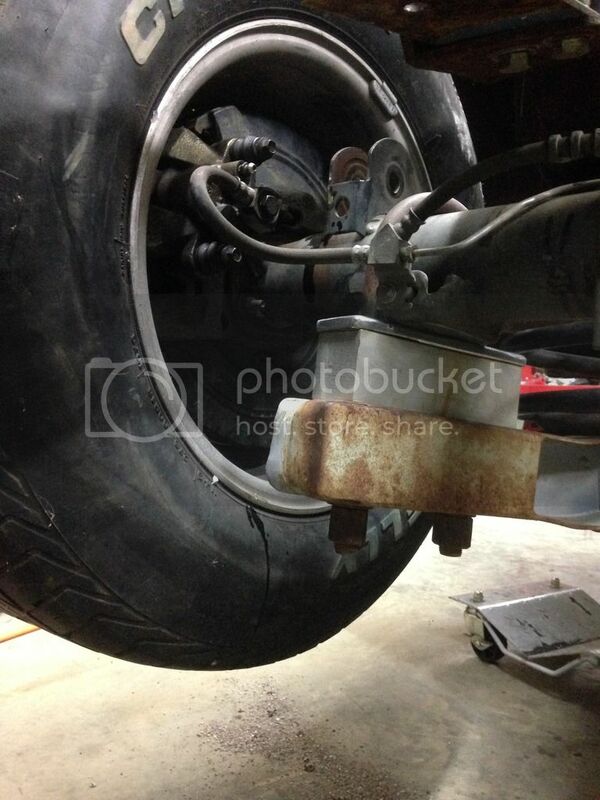 I started on my engine mount adapter brackets for the idea I want to try on this truck. 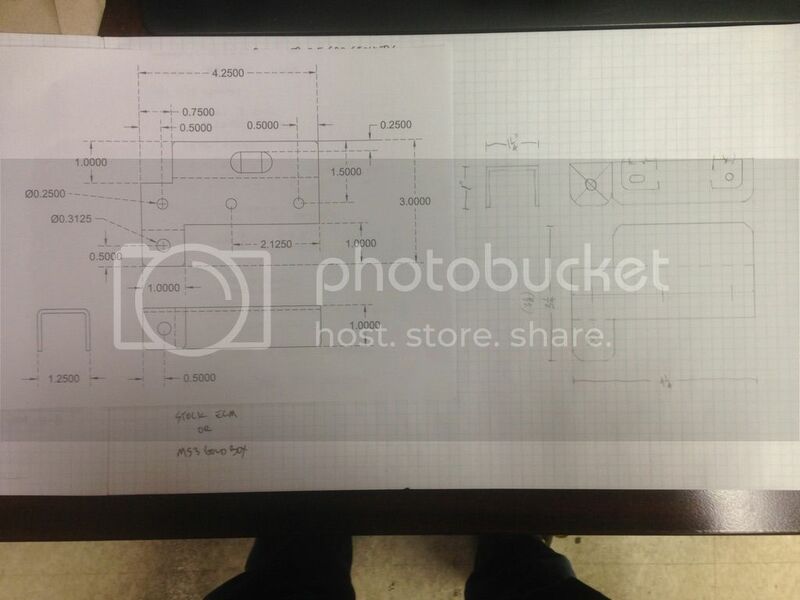 Started with a CAD drawing and a piece of flat bar cut to length. 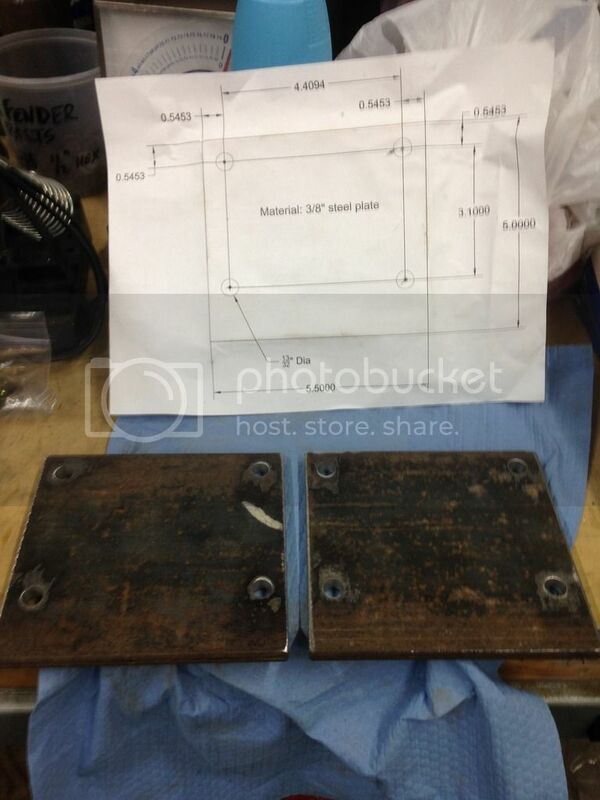 Drilled the holes for the block mounting bolts. These are the second step to before the final hole size of 13/32" dia. Both plates finished and ready for the engine. That's where I got on Saturday. Sunday was a bit of Family time and some football. Once the Cowboys lost, I put in some shop time that evening before calling it a night. I'll put that in the next post. Ok, I got some bad news about the engine over the weekend. When they where taking out the cam to swap it into his new engine, it pulled 2 of the cam bearings out and the others are trashed. Well, that's $115 dollars I did not plan for in this build. That set me back some and decided to move over to something else that needs to be done and hopefully I can get the engine repaired in a week or two. The firewall had a few spots in it that I could do a quick repair and got them in primer, no pics, completely forgot to take one. 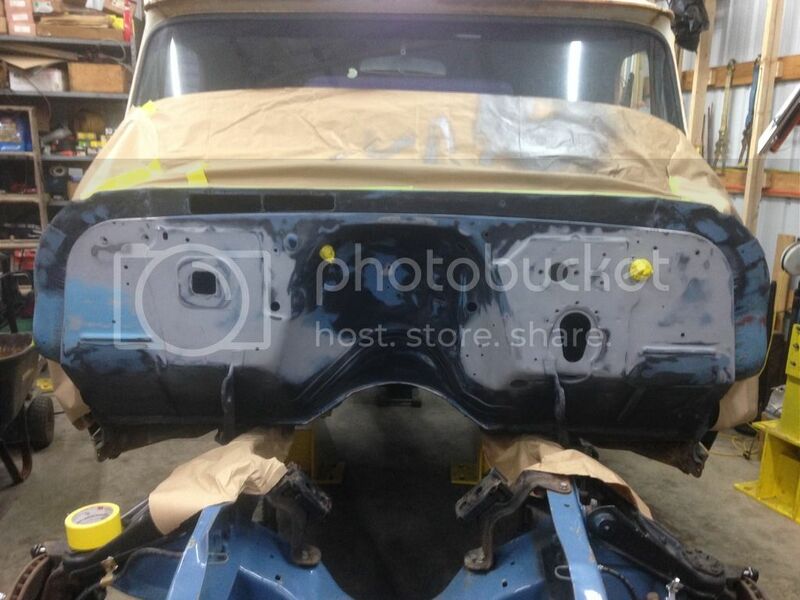 I plan to finish up the firewall tonight with a fresh coat of paint in the color I will eventually paint the outside. 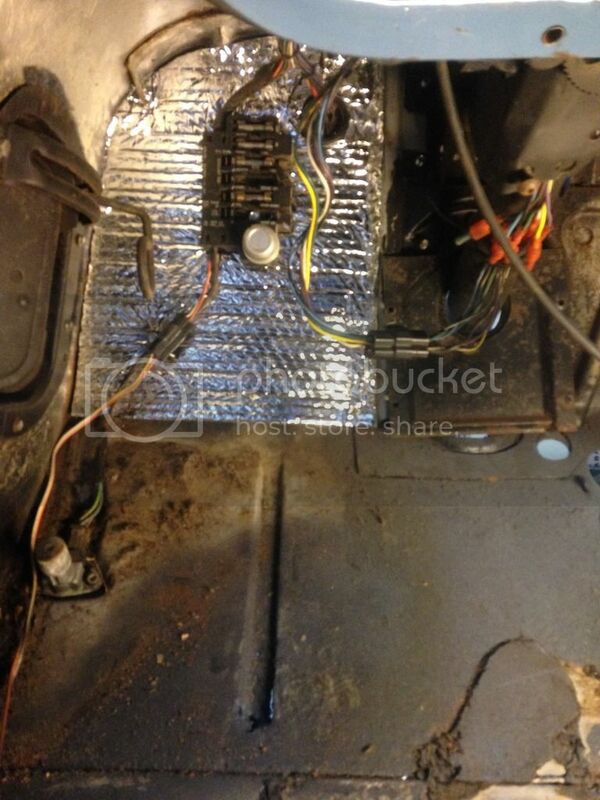 I then moved onto the chassis wiring coming out of the plugs on the firewall. These have been in storage since the last time I worked on the truck. I found them and pulled them out. OMG, they are in bad shape! 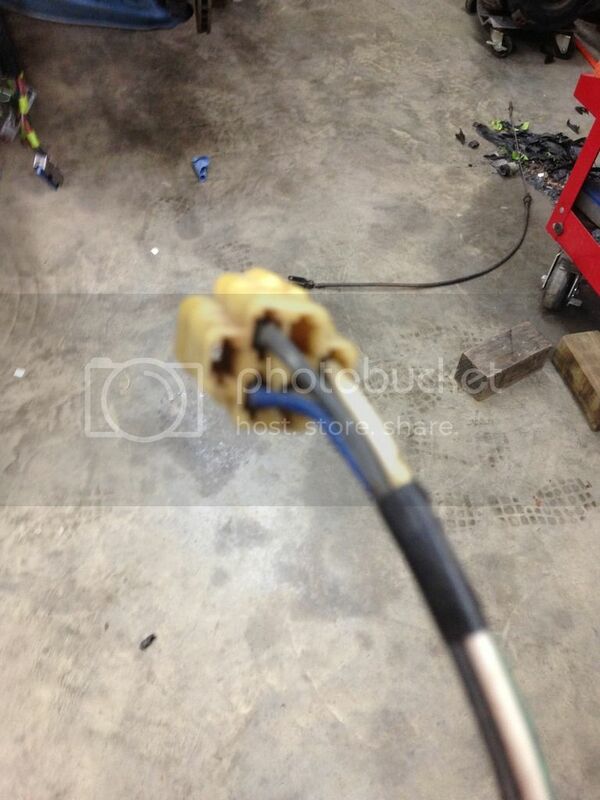 Here is the worst one, this is from the connector that is on the driver side next to the master cylinder, the lower plug. This one has wires for the headlights, the horn, the power wire to the fuseblock under the dash, and the voltage regulator. The plug is in REALLY BAD shape. 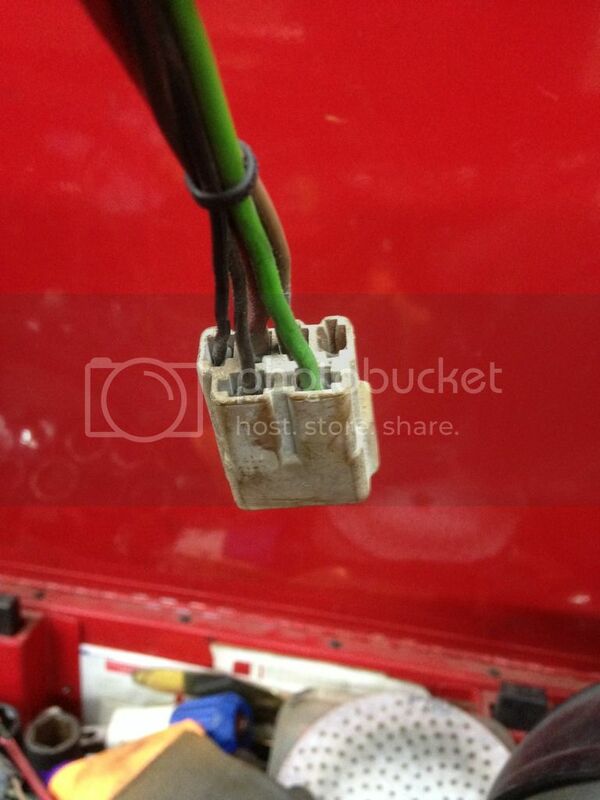 I did some internet searching and found what looks to be the correct connector and the correct terminals. 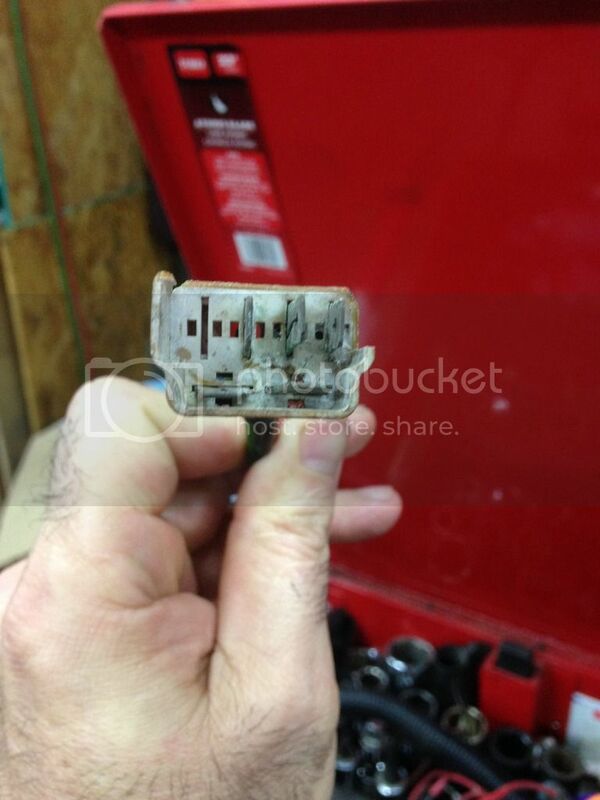 These are old Packard Series 56 connectors and terminals. I found this one on Terminals & Connectors website. 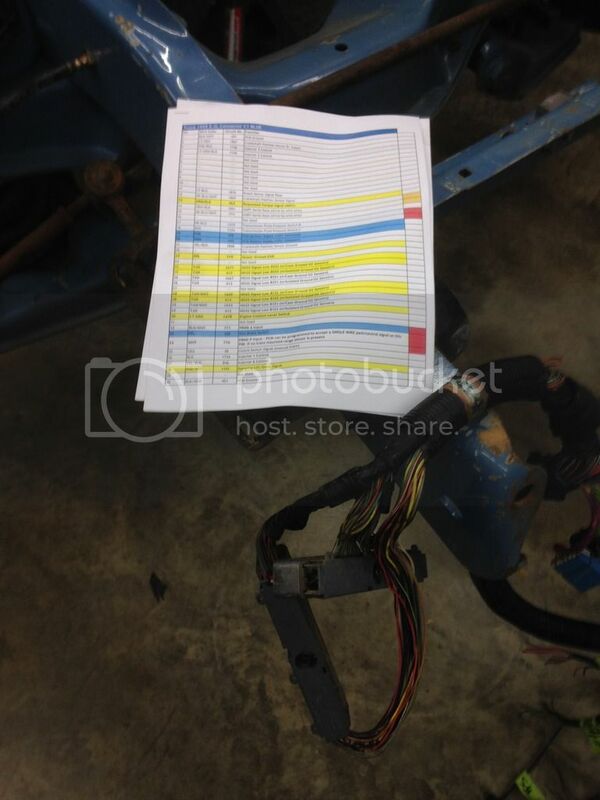 Took some digging on multiple sites to find the part number and someone who had them. The part number for the plastic connector is Delphi 2973903. The terminals for the wires on available on a number of sites, but I order the ones I needed from the same place. Here are a couple more pictures...I plan to replace all the wires and loom them for a clean look and update some of the circuits to match up better for the LS swap. I will also add relays for the headlights while I am at it. 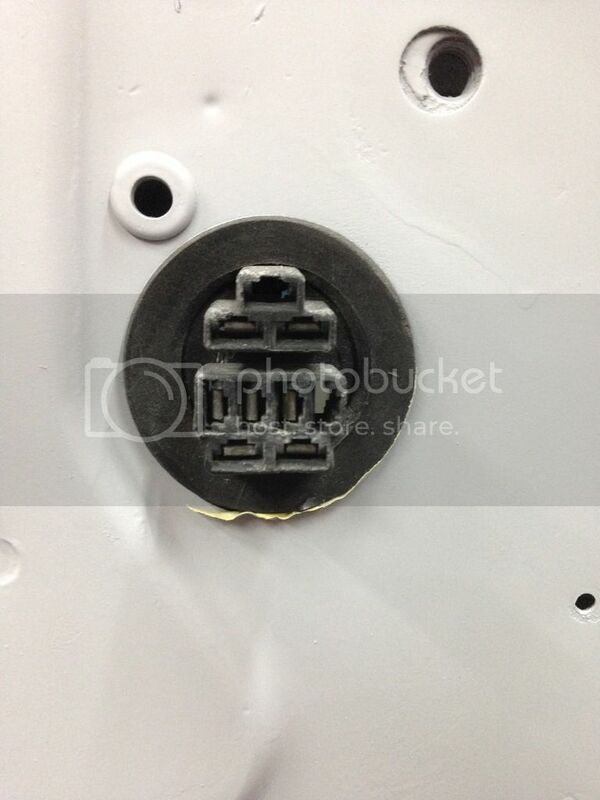 Here is the female plug on the firewall, its the lower 6 pin part in this picture. 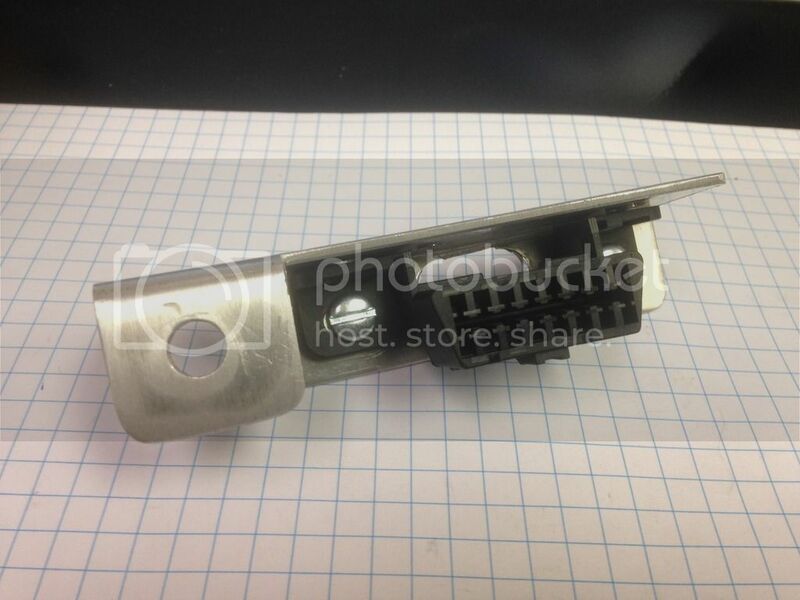 the upper 3 pin part is for the park/turn signal lights in the hood. I still have to find that harness and/or the male plug to match it so I can make a new harness. OK, here is where I need some help from you guys. 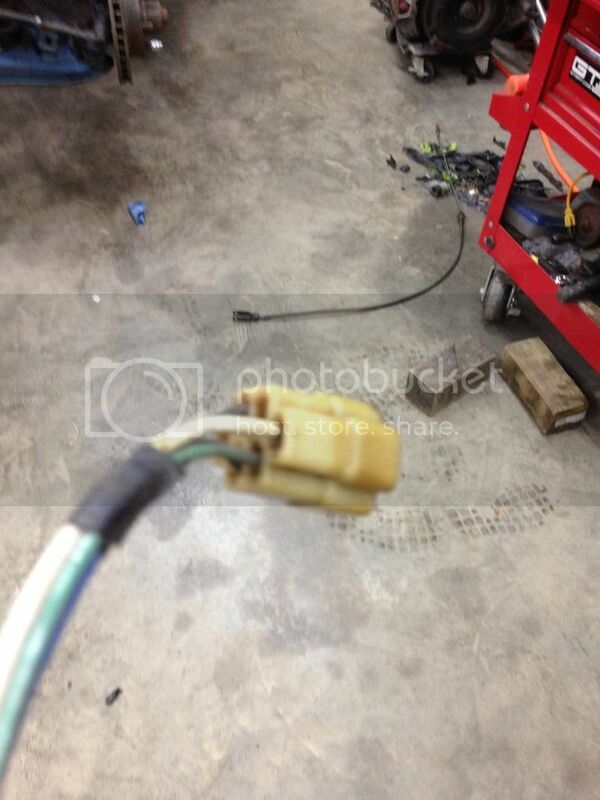 This connector is ok, but I would like to replace it since I am updating the under hood wiring. This is the 6 cavity connector that is kinda in the middle of the firewall above the passenger side of the engine. In the cove of the firewall to the side of the heater box. I need to find the correct Packard Male Connector for this harness. The sites I have looked at DO NOT show a 6 cavity connector shaped like this one. 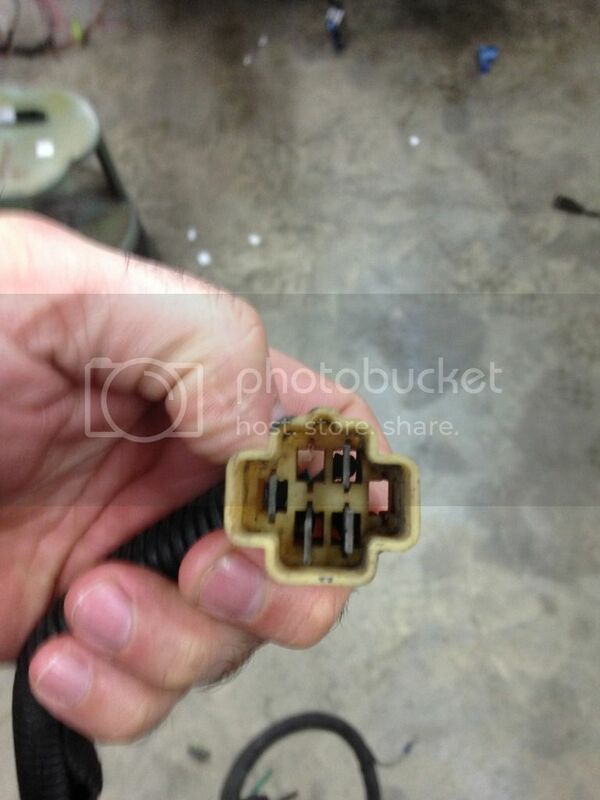 This connector has the wires for the starter, the distributor, the temp sender, and oil pressure sender. I know that I have seen it somewhere in the past, but I have no idea where that was. Delphi's site does not show on that looks like it at all. If it all comes down to it, I can reuse this one, but I really want to get a new one. 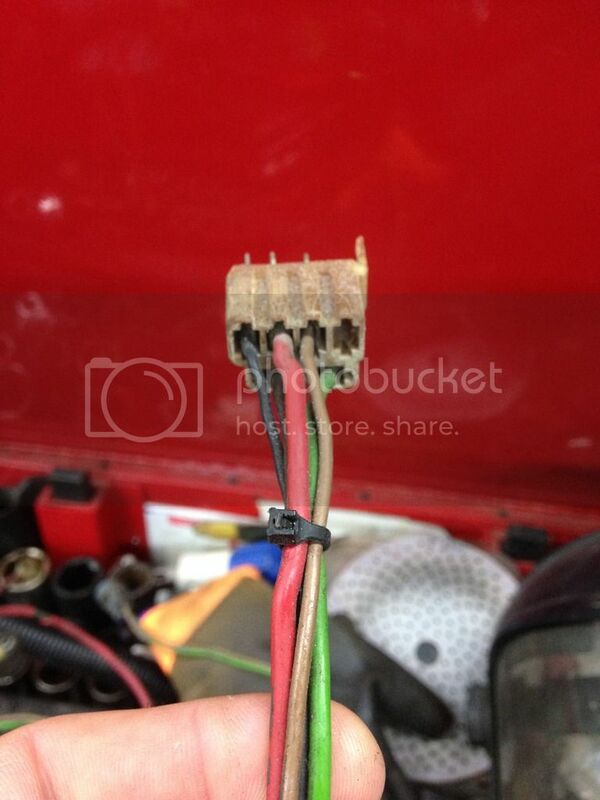 Well did more searching yesterday on the net, I found the connector I need in a kit that is sold by American Autowire. I put in an order, hope to have it by the end of the week. 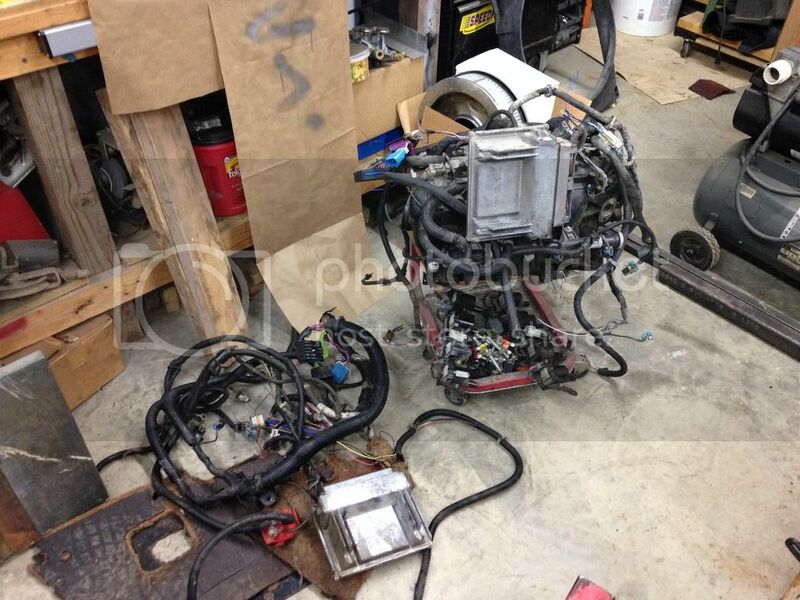 Don't really need all of the parts, but I will replace the grommet at least when remake the engine harness. With that issue resolved and still waiting on other parts and the engine, I decided the firewall needs color besides black. 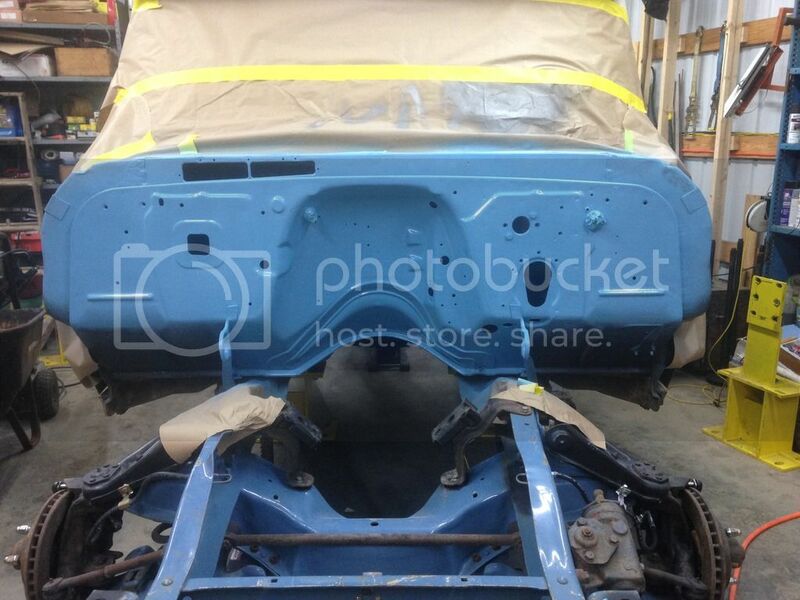 Since this is a low buck build, I found a rattle can color that is real close to the OE light blue. For this exercise I decided to go with it and get some color on there. There are a few light spots and a run or two that need attention, but I ran out of paint. I'll pick up a can on the way home and get that all fixed and one more coat on tonight before the 24 hour recoat window closes. Yesterday I worked on a way to mount the ALDL and the MIL for the swap in the interior. I decided to make up a bracket to hold both and mount them on the bottom of the dash. 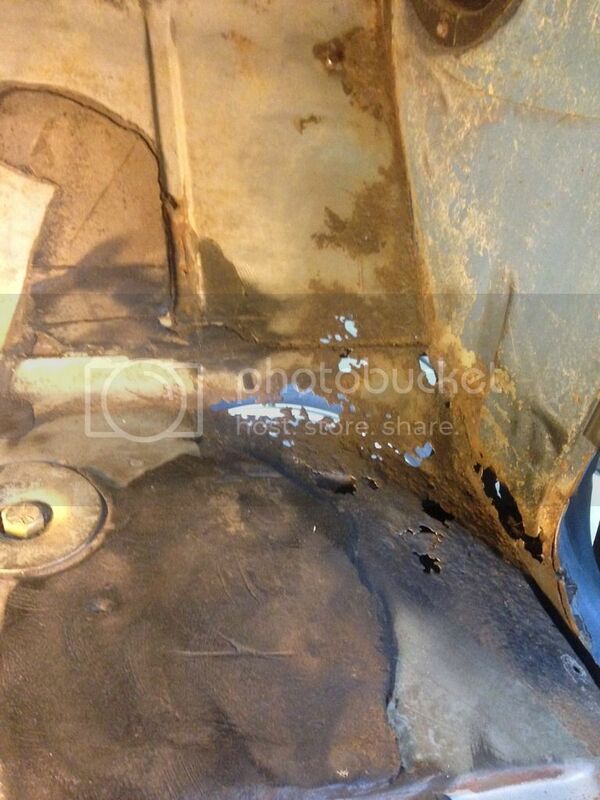 The hole on the left side is for the check engine light, should be here today. After making this one, I don't really like it. I have another simpler version that I will make if I have time before LST. 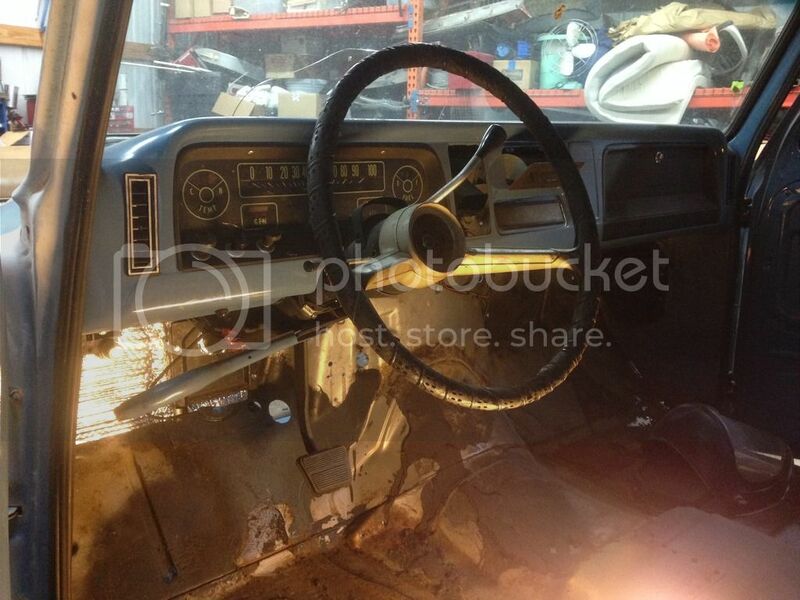 I am using a rear seat from a '77 crew cab that was in decent shape I got for free. The bottom seat frame is wider than the '65 seat frame so I need to modify the OE brackets/adjuster to work with the newer seat frame. 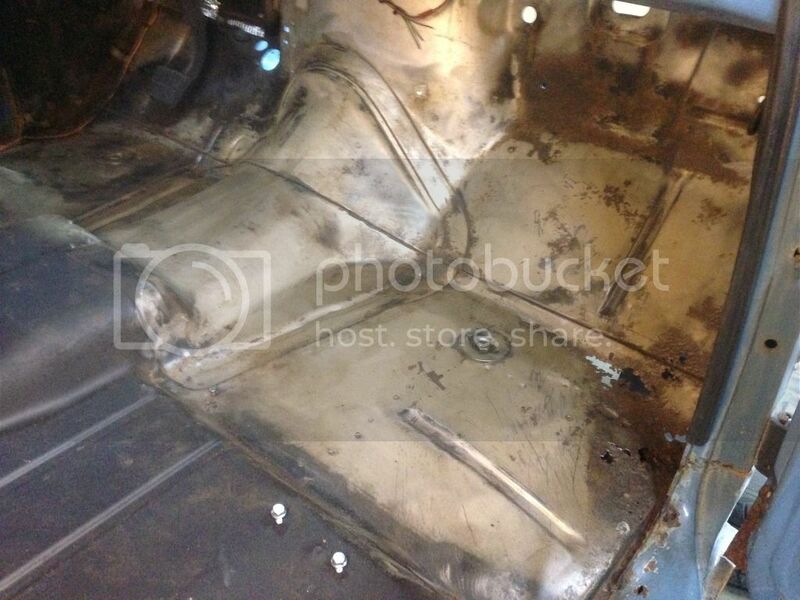 Luckily the rear mounts are the same width and space the mounts the correct spacing to mount on the floor. BUT the angle is all wrong. I will post pictures of what I have and what I think I'm going to do in my next post. This weekend was more about my daughter then the truck. She had her first Gymnastics meet of the season and is competing at a new level this year. She has a good meet and ended up placing 4th in the all around for her age group. Very proud of her and the hard work she puts in and keeps straight A's in school too! 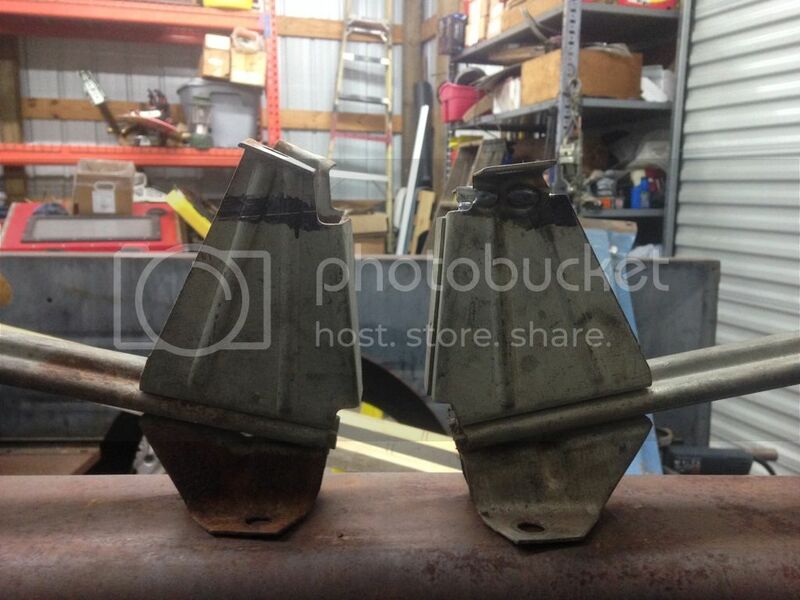 Stock unmodified bracket is on the left. Both ready to go back on the seat. 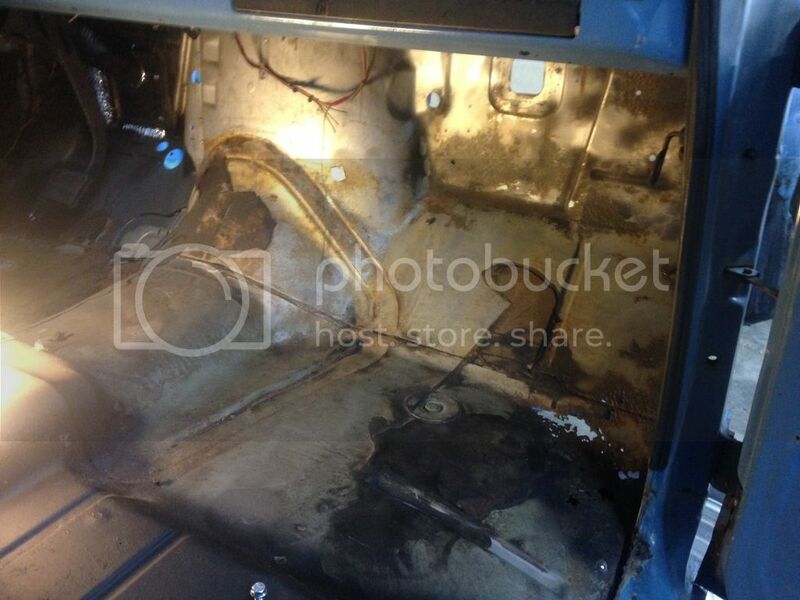 Seat is back out to have room to work on the floor and under the dash for the wiring issues. 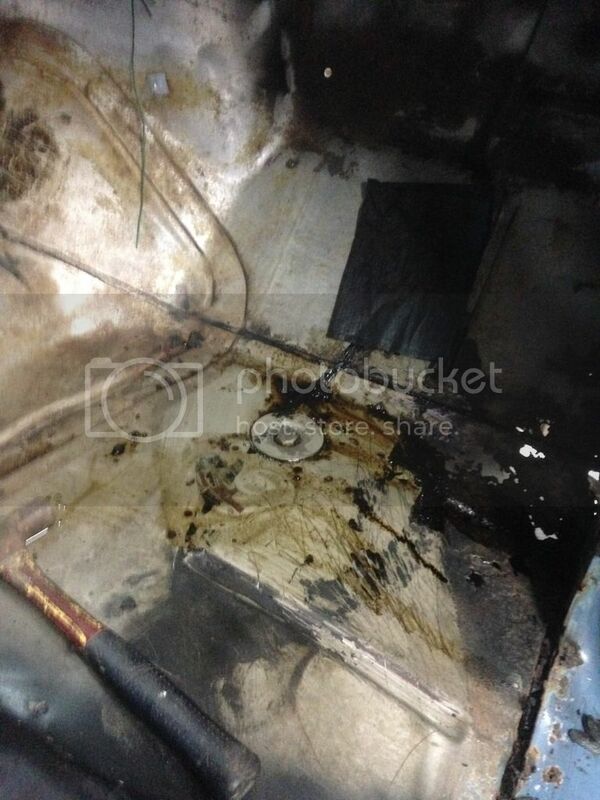 I hope to get the factory heater mounted back in the dash and the wiring done before putting the seat back in place. 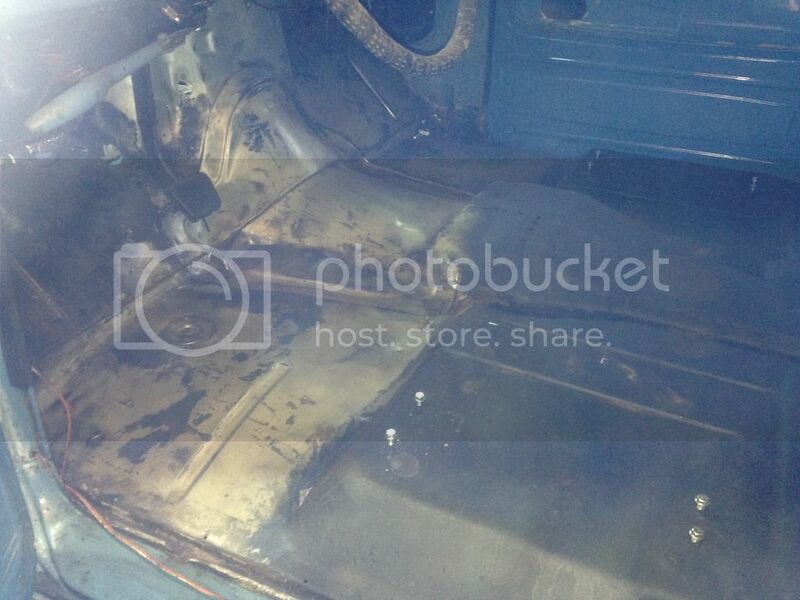 Worked on the floor and the steering column a bit last night. Forgot to take my phone with me into the shop, so no pictures of the work I did get done. The column seemed loose, so I worked on that. I got both bearings out and they are dirty but not damaged. I will get them cleaned up and regrease them to reinstall tonight. The pot joint seal on the intermediate shaft is shot and I don't have time to source a replacement. I will maybe make something to work at this time and get it all cleaned up. There are things that I did as a teenager when I first got this truck that I am not happy about now, but you learn from your mistakes and grow from those. I'll snap some pics tonight of last nights stuff and post them along with tonight's work. Firewall turned out nice from the pics. Color looks pretty darn close to the rails. X2 on the firewall, much better! Go get'em! Thanks for the replies. The color in person is much lighter than the rails. For now due to time, it will stay that way. If time permits, I will redo the rails in a satin black. Pulled the old firewall pad that was in sad shape and replace part behind fuse panel with some reflective insulation for now. Sounds like a decent temporary solution. The last two nights was all about the floor of the cab. I still had a bunch of that factory sound deadener that I wanted to remove. So I soaked it with Toluene and that worked pretty well to soften it up and get some of it removed. I ran out the night before, so I had to get more. Stopped at Home Depot to get some. They do not carry it, so instead I tried Xylene which they had in quarts and gallons. 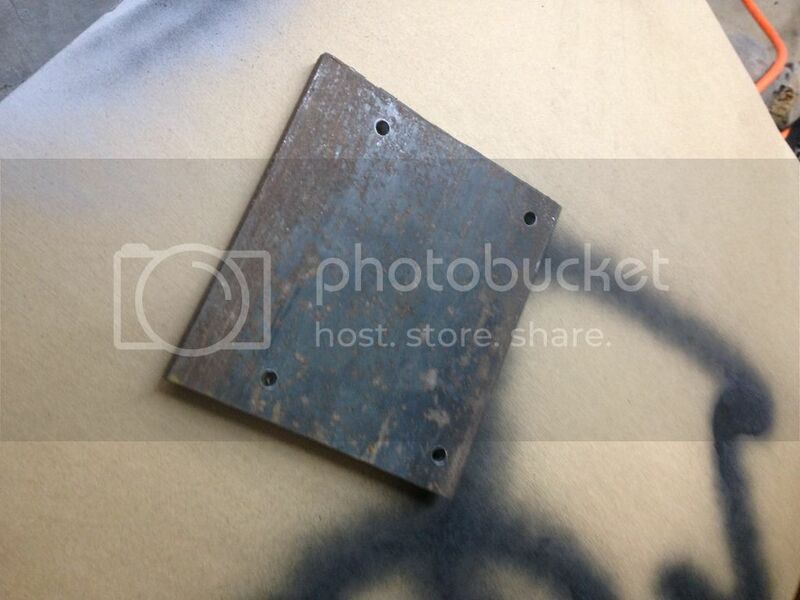 I got a quart and a 3" wide chisel edge scrapper they had in the flooring department.